Yet another Flowers beer. Don’t worry – only another three to go after this one. Though expect a sudden inexplicable switch to 19th-century Scottish beers soon. For which I have a very good reason. Two very good reasons, in fact. This time I really don’t have any idea what OB stands for. None of the labels I have matches. The best match I can come up with comparing the beer to analyses of Flowers beers in the Whitbread Gravity Book in Brewmaster, a bottled Pale Ale. Could the B in OB be for Brewmaster? Possibly. But I’m not going to get too carried away. I could probably tell for sure by looking a little further back in Flowers brewing records. Because Brewmaster wasn’t originally a Flowers brand. It came from J.W. Green of Luton, with whom Flowers merged in the spring of 1954. I say merged. Effectively J.W. Green took over Flowers, though oddly the name of the new company was Flowers Breweries, Ltd. I’ll be telling you more about the merger later. But for the moment let’s concentrate on this beer. It's been pointed out to me that there was a beer called Flowers Original Bitter. I shouldn't have needed it pointing out as I almost certainly drank it back in the 1980's.That's why I couldn't find a label: it was a draught beer. It’s another minimalist classic, containing only a handful of ingredients. Though I suspect there was some caramel used for colour correction. You won’t get a beer as dark as the colour specified on the brew sheet with the ingredients listed. Just a cosmetic thing, really, so don’t feel obliged to do it. I doubt it has any noticeable effect on the beer’s flavour. Goldings are a pure guess as the hop variety. Mostly based on the fact that it’s a highish gravity Pale Ale. Good-quality Pale Ales were usually hopped with Goldings. Nothing left but to hit you with the recipe. Get ready for some big changes to these posts. I’ll reveal more later this week. I though it was going to be an Old Burton ! wrong colour for an Old Burton. I think you're right and that it's Original Bitter. Pretty bad on my part seeing as I almost certainly drank the beer. I’m sure it is not a typical Old Burton recipe, but as we know, brewers sometimes give these names to beers which are quite different to other brewers’ versions. As you say, we don’t know how much it was coloured up either. But the evidence is for Original Bitter. Why do these Flowers recipes have a small percentage of malt extract? Couldn't you just add more grain to the base malt to compensate? Was "original" supposed to signify something - was there some kind of new fashioned bitter they were comparing themselves to? Or was it just another way for a brewer to suggest quality, honesty, integrity, all the good stuff you want in a beer. quite a few brewers did the same after WW II. Not sure why. But sometimes it's specifically called DME: Diastatic Malt Extract. My best guess is that it's to compensate for the lower diastatic power of malt made from British barley. Pre-war grists usually included some malt from Californian barley. I'm sure Original was a pure marketing term without any real meaning. I know eactly what colour it was. It's listed on the brewing record. It was the colour of a Bitter. Flower's Original bitter was the beer that was kegged and sold from 1955 as Flower's Keg: to quote myself, “a very suitable beer for the kegging process, according to the company, brewed at Stratford [on Avon]and trundled by the tanker-load across the South Midlands to Luton for kegging". 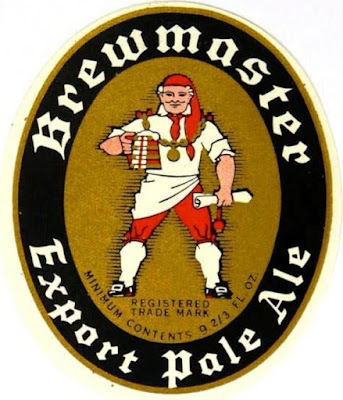 I'm assuming it was still sold under the Original name as a cask beer, until the Whitbread takeover and Flower's brands were phased out: the name was revived in the 1970s by Whitbread when it was trying, like many of the Big Six brewers, to pretend it wasn't a vast conglomerate, and after Whitbread stopped brewing it was contract brewed by a number of different regional brewers, I believe.